Reform Party Chief Kenneth Jeyaretnam has launched a tirade against the Workers Party for not doing anything for Punggol East residents. 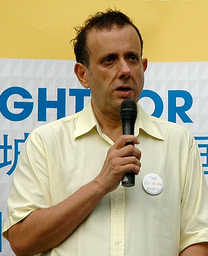 The elder son of the late opposition leader Joshua Benjamin Jeyaretnam, Kenneth is contesting in the Punggol East by-election against three other candidates including WP’s Lee Li Lian who contested in the single seat ward in the 2011 General Election where she garnered 41% of the votes. “I’m here to highlight the fact that previously work stopped in February, March, and nothing happened until I raised the issue. Why did it take so long? Where were they in the last 18 months? And why didn’t (Workers’ Party candidate) Lee Li Lian not raise the issue? Responding to public criticisms that she has been ‘missing in action’ in Punggol East for the past one year, Lee gave a nonchalant reply that she still visited Punggol East “on occasion” despite being “preoccupied” with her duties as legislative assistant to one of the WP MPs. Though it has shamelessly appealed to opposition voters during elections promising to check on the PAP, the Workers Party MPs seldom show any signs of challenging the PAP in parliament. In the aftermath of the 2011 General Election, WP newbie MP Pritam Singh publicly declared that the Workers Party will form a coalition government with the PAP if it fails to get a majority in the next election. Low Thia Kiang did not condemn or refute his statements. Kenneth Jeyaretnam graduated with a double honors from the prestigious Cambridge University and works as a hedge fund manager while Lee Li Lian is currently working as a ‘sales manager’. As the election campaign for Punggol East heats up, WP supporters have gone on a rampage to harass other opposition parties to intimidate them not to contest in the by-election! Besides taunting and smearing other opposition supporters online, they have now resorted to attacking potential candidates to deter them from contesting in the election. In the meantime, the Singapore Democratic party has sent notes to WP, inviting it for discussions to avoid a three-corner fight, but has yet to receive a formal reply from them. The Workers Party has eschewed working with other opposition parties, preferring to align itself with the ruling PAP instead. Its Chairman Sylvia Lim frequently sung praises of the PAP in interviews with the international media, earning her the tag of being the PAP’s unofficial spokeswoman. Even before the election campaign for the Punggol East by-election is kicked off, arrogant supporters of the Workers Party are launching a smear campaign against other opposition parties which have indicated their intention to contest in the election. The by-election was called after its former MP Michael Palmer resigned over an extramarital affair and will be held on 26 January 2013. The Workers Party contested in Punggol East in the 2011 General Election where its candidate Lee Lilian garnered 41 percent of the votes. Given its dismal performance in parliament so far where its MPs are well known for asking frivolous questions on PSLE textbooks, use of construction materials, private carparks, overseas voting and BIRD DROPPINGS, one cannot helping what difference one more pro-PAP WP MP will make.